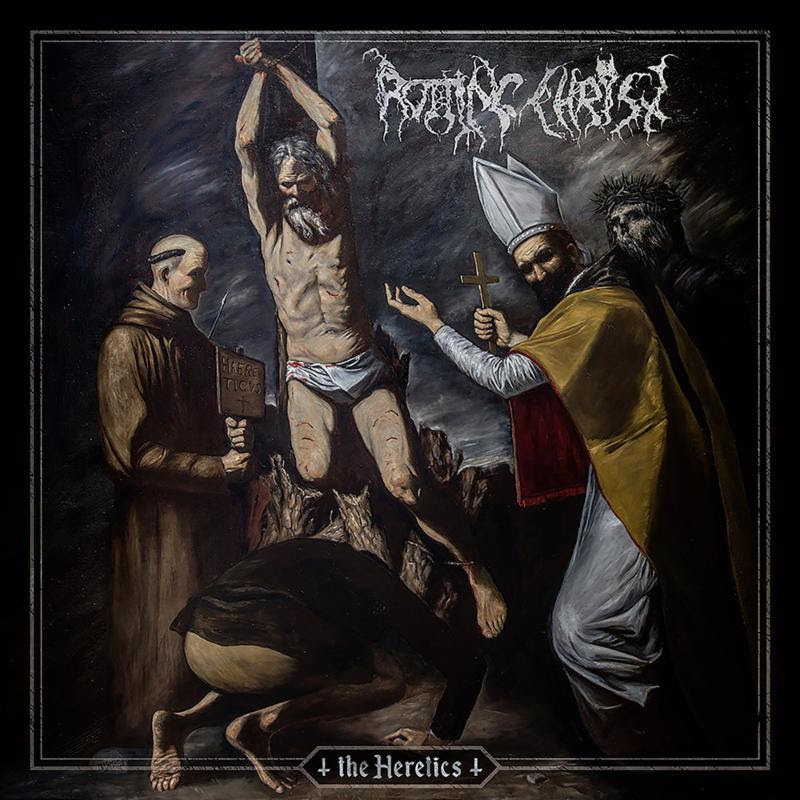 Home > NEWS > ROTTING CHRIST Streaming Forthcoming Album, ‘The Heretics,’ Today via YouTube! 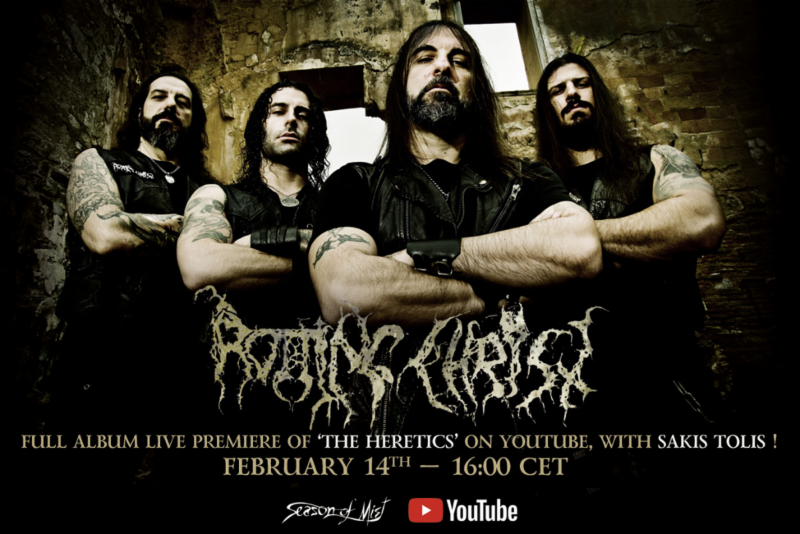 ROTTING CHRIST Streaming Forthcoming Album, ‘The Heretics,’ Today via YouTube! The Greek metal veterans of ROTTING CHRIST are streaming their entire upcoming record, ‘The Heretics,’ today via the official Season of Mist YouTube channel. Join the action and listen to the stream at THIS LOCATION. The new offering is slated for release tomorrow, February 15, 2019. It can be orderedHERE. ‘The Heretics’ was recorded by ROTTING CHRIST guitarist George Emmanuel at his studio Pentagram and mixed by Jens Borgen (AMON AMARTH, AT THE GATES, ARCH ENEMY, and more). Pre-orders for ‘The Heretics’ on limited deluxe CD Box, jewel case CD, limited LP and more are available HERE. The artwork for ‘The Heretics’, illustrated by Greek artist Maximos Manolis, and track list can be seen below. ROTTING CHRIST were the first Greek band to break out from the underground and make their impact felt worldwide. The band return with their stunning new album ‘The Heretics’. In a signature style honed by 30 years of toil and triumph, the quartet deliver heavy metal thunder so epic that it could have been forged by the gods themselves. The anthemic “Heaven and Hell and Fire”, “The Raven” and “Fire God and Fear” are staggering in their size and breadth. The power and majesty of ‘The Heretics’ can only be achieved by a band with a lifetime’s devotion to heavy metal, and proves these pioneers to be among the genre’s all-time elite. ROTTING CHRIST are available for interviews upon request. ROTTING CHRIST news and updates will be made available through the Season of Mist website, and the ROTTING CHRIST site and Facebook page.